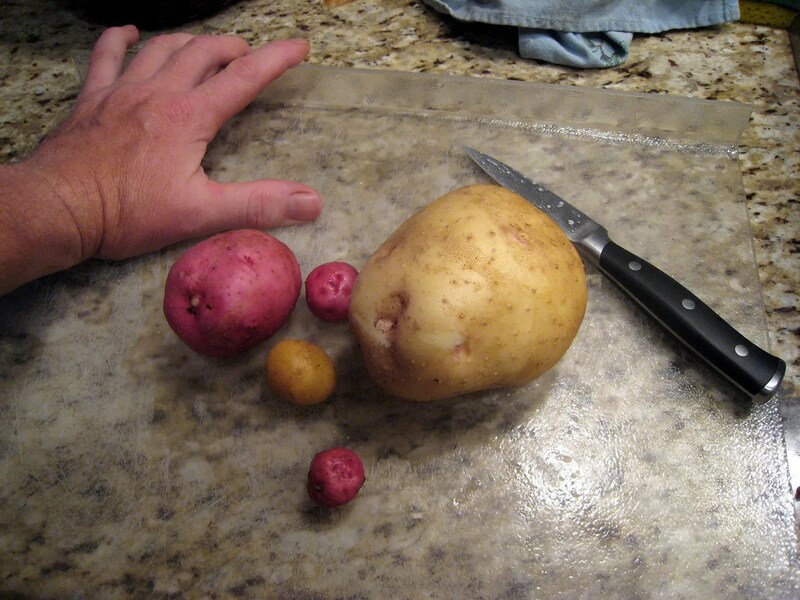 The Red Pontiac sample spud was nice; the yukon gold was colossal. There will be a potato harvest this year after all…. In the meantime potato/elephant garlic soup is in the fridge. I did the same thing tonight – couldn’t wait! You pulled in a better sneak harvest though. My digging just brought up a teeny baby potato. Garlic and potato soup! I wish I was eating that right now. Maybe we should start calling you “Spud” instead of Cohutt! 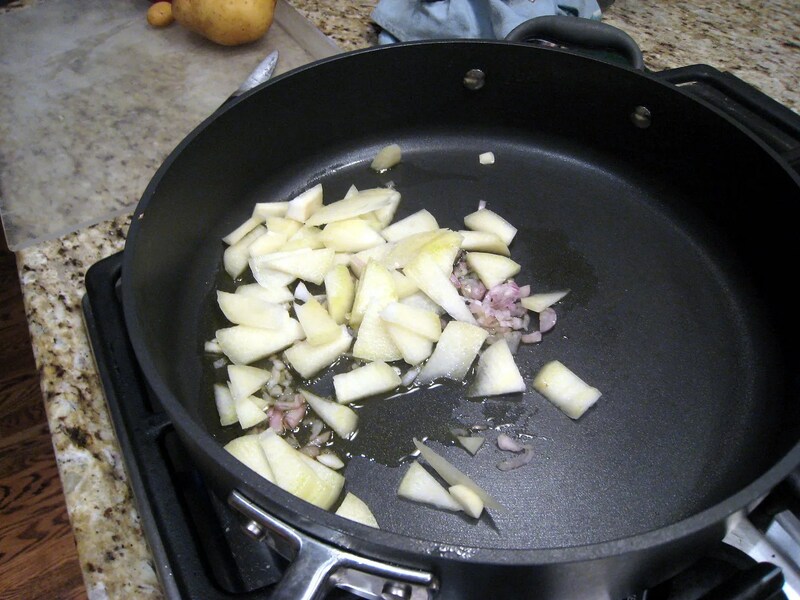 We ate the spuds for dinner last night………………………..great! Thanks for sending a few home. I hope you bring some to the beach. If you do, I’ll make hash browns. Great job on the potatoes. I tried a “potato box” experiment this year (http://yupneck1.wordpress.com/2011/04/05/garden-experiments/)and (http://yupneck1.wordpress.com/2011/06/28/the-potato-box-experiment-is-a-complete-failure/). It was a total failure. Couple of questions. How high did you let the walls of your boxes get? I built mine out to 27 1/2″ I think that was just too high. I think the plants put all of their effort into making foliage instead of potatoes. Also, I used whole potatoes instead of eyes. Have you had any experience growing from the whole potato as oppossed to an eye? Mine ended up being disspointing when all was said and done. Walls in the white walled potato box/beds were 14″ I believe. In the other beds, the raised walls allowed for approximately 1 foot – 15″ of hilling max. I experienced rot in the boxes that produced the ones in this post. I enedded up digging them all promptly and we still had an issue with rot. It could have been the hardpan base that the box sat on, a low spot in the contour of the ground. Or, perhaps, disease out of my controll or maybe faulty curing/harvesting measures. Same experience with the other beds. I believe I under wtaered initally then overwatered once i relaized my mistake, creating a worse problems. My panic harvest likely screwed up things so that they didn’t cure porperly. Who knows, hoinestly it was so dissapointing and I had so many other things to get done that i didn’t (and haven’t yet) sat down to really think it through. Oh well, if I ever do i will post. Thanks for taking the time to answer. I did a little more research and discovered that potatoes that have a lot of nitrogen available will grow great greens but few potatoes. Since I planted and mulched in pure mushroom compost, I am going to write the failure off to too much available N. I am planting the fall potatoes now. I think I am going to try growing in sand as oppossed to compost. We will see how it goes.